Alvaro Morata has completed his move Atletico Madrid, joining the Spanish club on an 18-month loan from Chelsea with a view to a permanent deal. 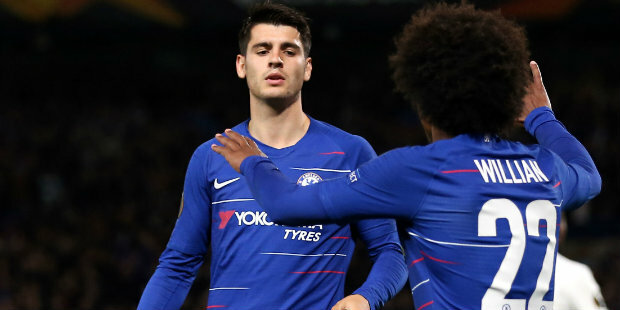 Atletico made an approach for Morata after much speculation over the future of the striker, who was linked with the likes of AC Milan, Barcelona and Sevilla. Blues boss Maurizio Sarri has been keen to sign a new striker and recently brought in Gonzalo Higuain, who previously played under the Italian at Napoli. Higauin, on loan from Juventus, made his Chelsea debut in Sunday’s FA Cup win against Sheffield Wednesday.